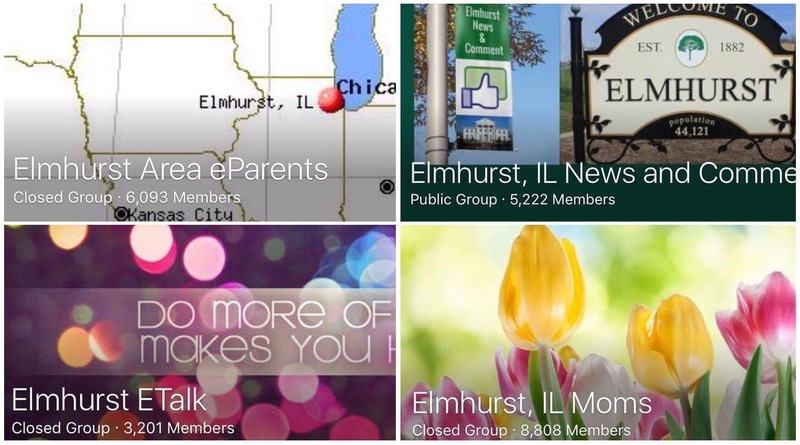 ELMHURST – Reports of lost dogs, suspicious activities, and “porch pick-up” no-shows were prevalent in the four preeminent eGroups of Elmhurst last week. And there was a sharp increase in undergarment resales, intercontinental vacation advice, and requests for information alternatively available by searching Google. But the most glaring ommission from the local Facebook groups – where members earn undeclared income and openly question the allegiance of fellow citizens – was the daily coverage of local car-jackings and gas station robberies. Group members were treated to a spirited 416-comment debate Tuesday afternoon on issues ranging from empty downtown storefronts to President Donald Trump’s immigration policy after a question was posed regarding the bus schedule for Churchville Middle School. In a separate thread over the weekend, resident John Simms was officially recognized as the most qualified person to explain property taxes after establishing that his family’s Elmhurst lineage could be traced back to 1865. Administrators deleted 24 group member posts last week, down from the previous week’s whopping total of 79. Approximately 500 transactions took place in the local buy, sell, and swap mega-group last week, netting peddlers a combined $1,643. Administrators reported steady sales in gently-used baby bibs and nursing bras, and a slight increase in humanitarian acts by group members offering free swing-sets and tree houses to whoever has the tools, the manpower, and five or six hours to remove the eyesore from the homeowner’s backyard. Strangers knocked on the door of 66 ETalk members last week, according to statistics obtained from the local Facebook group recognized as the leading source for information pertaining to the wrongdoings of other residents. Almost half of those reports were later rescinded, however, after homeowners realized that they had ordered a pizza approximately 45 minutes earlier. Under the category of “Looking for Recommendations”, group members failed to arrive at a unanimous decision multiple times throughout the week, as 18 hairdressers, 25 electricians, and 34 pediatricians were declared “the best” in Elmhurst. The multi-purpose Facebook group was plagued with member posts containing coded language and acronyms like “iso”, “mil” and “sahm” last week, and administrators continued to ignore the shady exchanges of nontransferable Kohl’s coupons between group members. Despite this corruption, 155 children were reunited with their lost toys and stuffed animals found by group members at Wilder Park over the weekend, and dozens of parents hired a nanny through the group with the hope that their children will become fluent in at least two foreign languages by the end of summer. NAILED IT!! This article could have saved me COUNTLESS hours of browsing the “sites” as I call them in my house!! Thanks for another good one Dave! !